The new CSIT-Magazine is online. 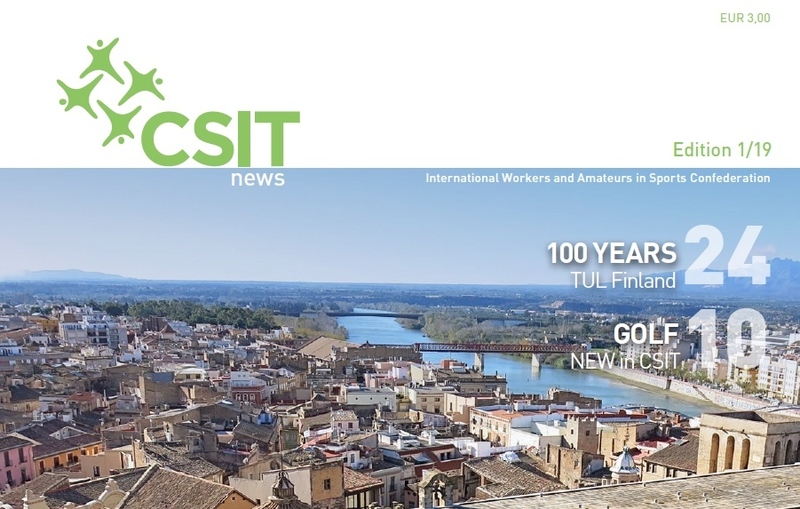 The latest edition of the annual CSIT Magazine is containing stories about our 6th CSIT World Sports Games 2019 from 2nd to 7th July in Tortosa (Catalonia, Spain), the 40th CSIT Congress 2018 in Tortosa with President Bruno Molea's plans and visions for the near future of CSIT as well as many interesting stories from member unions and partners from all over the world. This downloadable version is made for webpage-use. If you want to produce a printed and glossy magazine for partners, friends and representations, please contact the CSIT General Secretariat via office@csit.tv for the suitable version (100MB)!